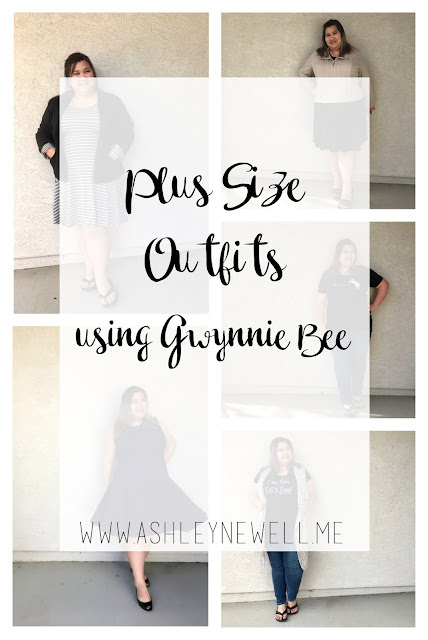 I've been doing Gwynnie Bee plus sized clothing rental for about four months now and I figured it was time to do an update. Please note that while I am a Gwynnie Bee affiliate, I do pay for my own subscription. If you use my referral link to sign up for a FREE 30 day trial, it helps support my blog and family. You can read my first post HERE. I'm still experimenting with different styles and trying to find new brands. It's been really fun to try brands I've never tried before and things I don't have access to in person. Stores for plus sized women are pretty limited with only a few in my town. Gwynnie Bee has really opened up my possibilities! Last time I showed all dresses so this time I wanted to show more variety so you can see how Gwynnie Bee can really fit into your daily life. First up is Style and Co Plaid Patchwork Boyfriend Jean. I thought it would be fun to change up the every day jeans with some fun print. During the the day I wear a lot of casual clothes especially since I'm a mom and I need to be able to sit on the ground, get messy, climb a play structure, etc... I'd never worn Style and Co before and they were true to size. They were fun jeans and I'm glad I tried them! I paired this with a shirt from Momma Bean Designs and flip flops. The next piece is Alfani Textured Moto Jacket. I wanted to try the Moto style and thought that a different fabric would be more my style since I've never worn leather. I didn't really like the material. I don't know what I thought it would be like but it wasn't my style. I also don't think the cut worked for my body type either. I paired this with a Lularoe Madison skirt and some wedges. Next up is the City Chic Black Zip Detail Blazer. 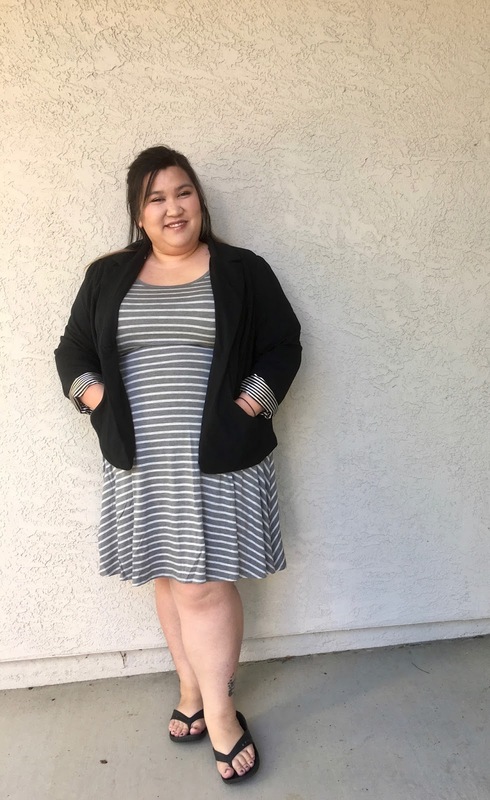 This blazer is really cute! I loved the sleeve detail and I felt like rolling up the sleeve to show it off made it more casual which I like. The fit was nice and this is something I can see wearing with a lot of different outfits. I paired this a Lularoe Nicole and flip flops. 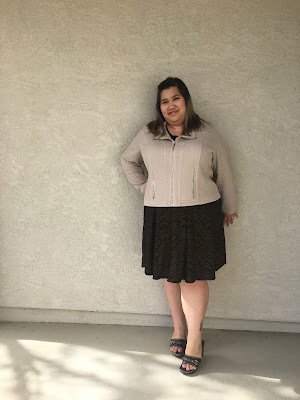 I tried the Jones New York Sweater Vest in Ivory. I keep trying vests because I like that they add coverage for your midsection and hide back rolls without having sleeves so I feel like they aren't as hot. This vest was fine. It could be dressed up or down. I wore it with some jeans, a t-shirt, and flip flops. Lastly, I got the Julia Jordan Skater Dress in Textured Navy. This dress felt more fancy because there was a bit of crinoline or something in this to give the skirt more shape. HOWEVER in this photo, the wind did pick up and make this dress flair out more than normal. I thought the picture with the movement was cuter so I included it. It has a really pretty back too! I wore it for a girl's night out with my friend Felicia and it was so cute but it felt a lot more dress than I usually like. 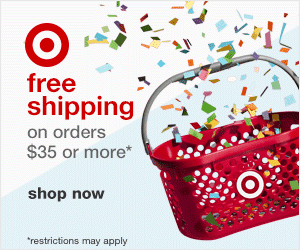 You can get a 30 day FREE trial of Gwynnie Bee. The sizes are from 10-32 so you don't really have to be plus sized to try the clothes. I don't consider a 10 plus sized but it is what it is. Do you have suggestions on what I should try next? Please leave me a comment and let me know! Great looks, Ashley--love that dress! My absolute favorites are the JNY sweater vest and the navy dress! I love those jeans and the dress especially. I actually really love you on that long sleeveless duster too! I forget, can you opt to buy the clothing or is it only rental? Good night I love these... I love the vest, haha, but you don't seem too excited about it... I keep trying to find the perfect one!! Love the dress and all the ways your are dressing up the t-shirt! Cute looks! I love the blazer with the striped dress! So cute! 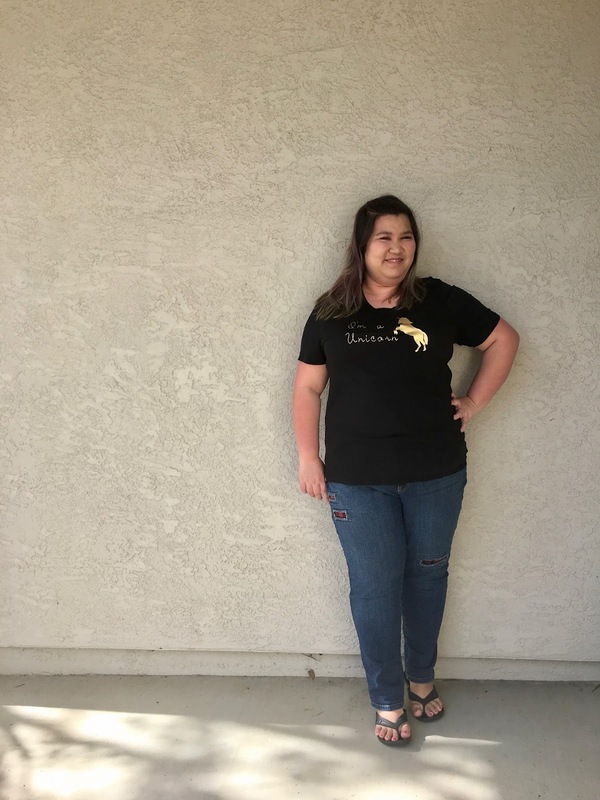 What cute clothes and a great way to try them out! It's awesome they give a 30-day trial! I love the black blazer! So cute.